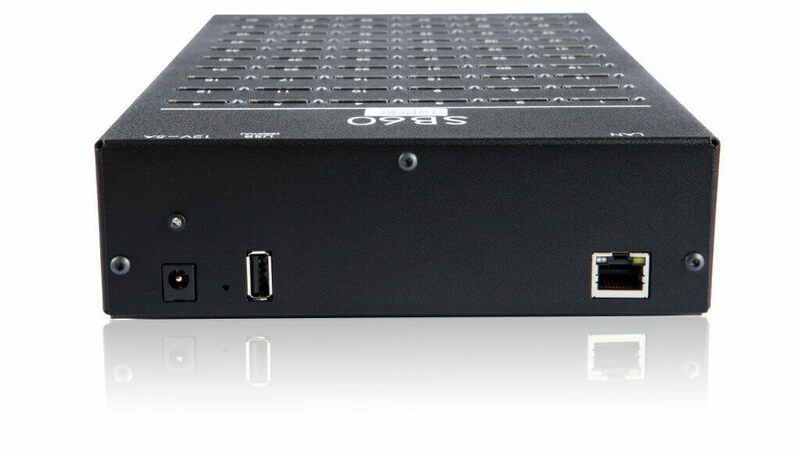 SIM box (also called SIM bank) – is one of hardware modules of ANTRAX Solution for GSM termination business. SIM box (simbox) device holds a bundle of SIM cards separately from VoIP/GSM gateways in order to minimize the maintenance expenses and solve the SIM blocking problem. SIM Box allows you to install and manage any amount of SIM cards of different mobile operators that enables work of several GSM gateways placed in different locations. Available configurations: 60 sims and 120 sims. Several SIM boxes can be connected in one system that provides with ability to use unlimited amount of sims in your system. You can keep your SIM cards away from the GSM gateway. It allows you to attach a separate SIM card for VoIP/GSM gateways module, enabling the same card to call from different points thereby reducing the risk of blocking. Two configurations of sim box are available, one for 60 sims and another one is for 120 sims. One system can include as many simboxes as you wish, which gives you ability to use any amount of sims in your termination system. SIM cards rotation. One of the optimization algorithms of the system is so-called Antrax “Sim Rotation“. SIM cards within each SIM Box can be divided into groups, each of these groups can be attached to a separate GSM-module of VoIP gateway. Over time, the system is able to make changes within each group, changing SIM card which is responsible for making voice calls from one to another. This not only allows you to optimize resource consumption of every single “Sim”, but also gives a possibility to reduce their workload and, consequently, the suspicion of the mobile operators. SIM cards migration. Antrax system is capable of registering the SIM cards on different GSM-modules with a specified frequency. If you have several GSM gateways located in different parts of the city, system will make SIM card conduct calls from every gateway in turn, creating an illusion of subscriber’s movement. This will help you to protect your cards from being blocked by the mobile operator. SIM server software is a SIM manager software designed to manage ANTRAX system. It brings you the highest level of control over your SIM Boxes and GSM gateways and helps to minimize your operating expenses for system maintenance in total, lowering down SIM server price. SIM server enables gsm sim server to perform the following functions: SIM balance auto refill, ability to navigate through the voice menu of DTMF-numbers automatically, receive automatic notice in case of zero balance and calls with zero duration, etc. 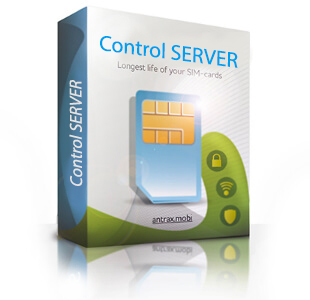 Click here to find more about Sim Server. To get more information about GUI platform please contact our consultant or Click here.